Note: PetPetPet Habitats was taken down on October 15th 2009, and officially was canceled on December 12th 2009 when removed from the Premium Beta Testing Links. General information from the download page. The Storage Chamber, a basic "building" to store materials. their energy faster (compared to sleeping outside). One of the many obstructions randomly placed around the habitat. A "Resource Tree". Drops food for the Petpetpets to eat. and send them back to your inventory on the main Neo website. Where are all the Petpetpets? I can only see a few of them! Try checking the other three corners of the habitat. Petpetpets may also be busy inside the structures or lurking behind objects. 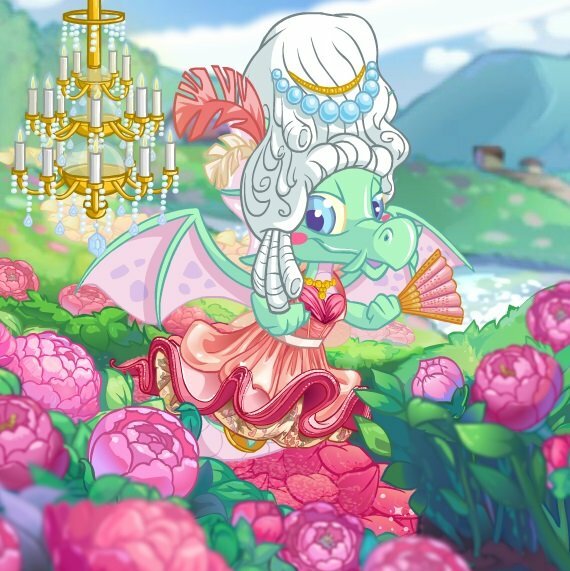 There's a picture floating above my Petpetpet's head. What does that mean? Your Petpetpet is telling you what it needs. For example, if there is a picture of food floating over its head, your Petpetpet is hungry. You should give it some food! I put food out for the Petpetpets. Why aren't they eating it? They might not have found it yet. You can try picking up your Petpetpets and setting them next to the food. Keep in mind that Petpetpets have their own personalities and only eat when they feel like it. My Petpetpets are not using the Shelter. Why not? Shelters help speed up a Petpetpet's sleep cycle. Whether or not a Petpetpet decides to use a Shelter is up to the creature itself. Sometimes it may prefer sleeping under the stars. How do I make my Petpetpets build new structures? First, you need to plant the right kind of seed for each structure. Check out the Seeds box on the tool bar. 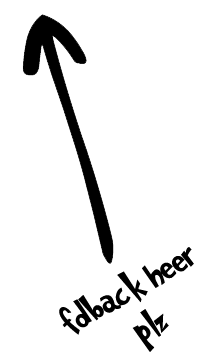 Then the Petpetpets can maintain or improve the structure. How do my Petpetpets gain levels? Petpetpets gain levels by contributing to the habitat. Make sure to give them ways to help! What are the tools in the tool box for? You can give the tools to your Petpetpets so that they can build or destroy structures and harvest resources. How do I use the Transfer Bag? Where can I get more items for my Petpetpet Habitats? Click and drag an item into the Transfer Bag, then click on Transfer Items at the bottom right. After beta, you will be able to purchase items from Pepetpet Habitats shops! Why did I lose one of my Petpetpets? How can I keep them healthy and happy? Watch your Petpetpet's life meter. It will drop if your Petpetpet is hungry or if it is being attacked by enemies. Keep your Petpetpet well-fed and safe. How do I get more Petpetpets? You can put two Petpetpets of the same species inside a nest together and they will lay an egg. You will need a factory to combine items. You can build a factory by buying the seed and placing it in the Habitat. Resources include wood, water, soil, and grass. 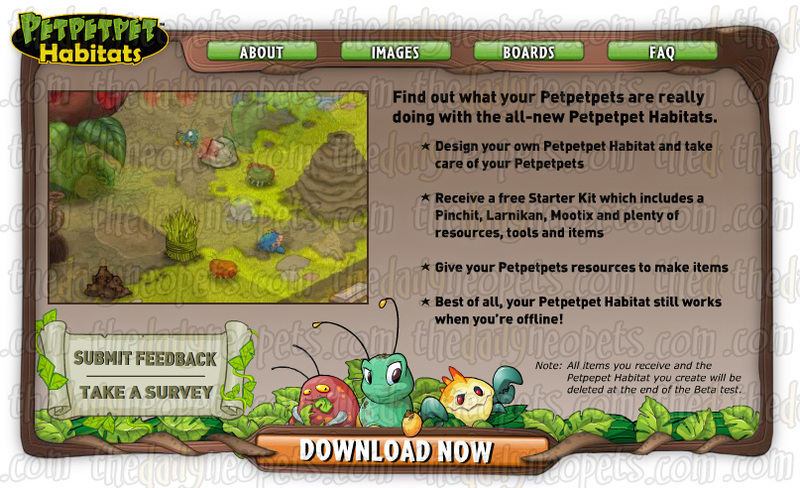 Your Petpetpets harvest resources and then use them to maintain and improve your structures. Check the Resources bar at the top right to see what you've collected. What is the Storage Chamber for? The Storage Chamber is where your Petpetpets store all the resources that they have harvested. That way the resources are ready to use for their projects. What does the Acornox Tree do? The Acornox Tree drops enough food to keep three Petpetpets fed. If you don't want your Petpetpets to be hungry, you should place this in your Habitat. What is the Shelter used for? Petpetpets can use the Shelter to sleep more quickly and wake refreshed for more harvesting and building. What is the Hospital for? When a Petpetpet is injured, it can go to the Hospital and get patched up. Nests are where two Petpetpets of the same species can lay an egg. This way, you can add more Petpetpets to your Habitat. 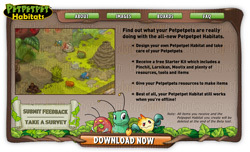 How do I download the Petpetpet Habitats game? How do I create my own Petpetpet Habitat? How do I save my Petpetpet Habitat? Don't worry, the game will automatically save your progress for you. Can I delete my Petpetpet Habitat? Yes, you can uninstall the whole game from your computer? When I close the Petpetpet Habitats application, what happens to my Petpetpets? Does the game still run? Even when the game is not running on your computer, the Petpetpets still go about their routine. However, they move at a much slower pace. This means that the next time you log in, there will be small changes here and there. Is Petpetpet Habitats available in a language other than English? Not right now, but it will be. Please check back. How do I transfer my Petpetpet Habitats items from Neopets.com to the application? Click on a Petpetpet Habitats item. How does the beta test work? Click on the Download Now button on this page. Then just test out the game and tell us what you think, so that we can make the game better. You can also collect a free item for testing the game. Can my friends become beta testers too? How can they sign up? Only a certain number of premium users can become beta testers. Thanks for your interest! How do I tell my friends about Petpetpet Habitats? Click on the Notifications button at the top. Below your notifications, there is a button labelled Tell A Friend! Is Petpetpet Habitats available in my country? For beta testing, this is irrelevant. For open beta, yes. The Snowager is awake. He'll be sleeping in 4 hours, 43 minutes.